Today, June 30, is Asteroid Day, an event organized by astronomers, planetary scientists, astrophysicists, and others to raise awareness of our possible doom by way of giant rocks from space. The goal of the Asteroid Day campaign is to build the international support necessary for scientists to receive the resources necessary to keep a watchful eye on the skies above—and in the long term, to deflect extinction-level threats. As Brian May, an astrophysicist and celebrated musician noted, "Asteroids are a natural disaster we know how to prevent." Scientists need only the green light to do so. June 30 was chosen for the occasion as it marks the anniversary of the Tunguska Event of 1908, which was the largest impact in recorded history. That day, an asteroid soared above the Eastern Siberian taiga before exploding a few miles overhead. The energy released from the explosion obliterated 800 square miles of land. (That's about the size of New York City and Paris combined.) And that was a relatively tiny meteor—a mere 40 meters across. How powerful was the blast? People 40 miles away were reportedly thrown from their chairs and their clothes became so hot that it felt as though they were on fire. Some locals believed the event was the wrath of an angry god, and with good reason: the site of the blast reached 44,500°F. According to NASA, "The resulting seismic shockwave registered with sensitive barometers as far away as England. Dense clouds formed over the region at high altitudes which reflected sunlight from beyond the horizon. Night skies glowed, and reports came in that people who lived as far away as Asia could read newspapers outdoors as late as midnight." Thankfully, nobody is believed to have been in the blast area. But because a Tunguska-sized asteroid enters the Earth's atmosphere, on average, every 300 years, the next time it happens we might not be so lucky. After all, that one small asteroid released the energy equivalent of 185 Hiroshima bombs. Few cities, if any, could survive even one such bomb. The organizers of Asteroid Day want "to safeguard humanity and all things we hold precious on Earth" by encouraging government officials and the public to take part in discussions concerning the looming threats overhead, and how we might mitigate them. 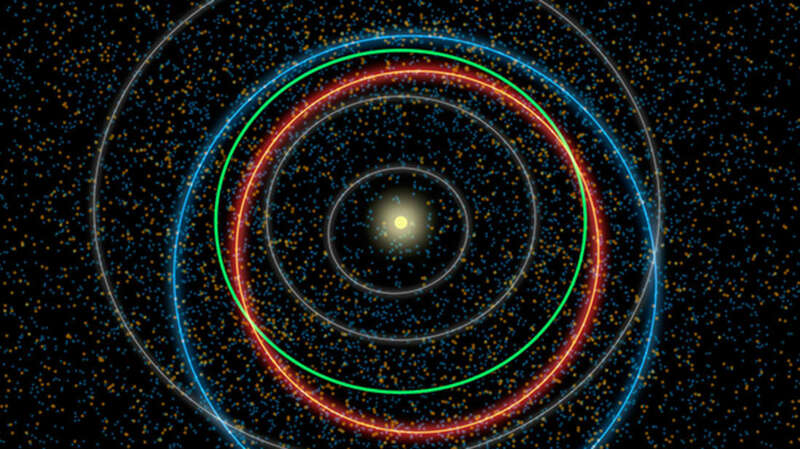 Planetary defense involves the detection and tracking of near-Earth objects in the inner solar system. So far, we've only discovered 1 percent of the asteroids in our solar system that are capable of wiping out a major city. (Sleep well!) The next step is the deflection of said menaces. To that end, hundreds of events involving scientists and entertainers have been scheduled around the world. You can find a local event here, and if you like to throw a good party, you can even host an event yourself, which might feature speakers, films, star gazing, and costumes. Scientists are also encouraging the public to sign the 100X Declaration, which calls on government and industry to implement "a rapid hundred-fold acceleration of the discovery and tracking of Near-Earth Asteroids to 100,000 per year within the next 10 years." “One of the major threats to intelligent life in our universe," said Stephen Hawking, who joins those taking part in Asteroid Day events, "is a high probability of an asteroid colliding with inhabitable planets.” The goal is to help keep our planet out of that grim number.